Swantiques, 518 Main St. Owner and Evanston resident Lora Swanson opened the antiques pop-up store Friday. Lora Swanson, the owner of antique business Swantiques, said her parents took her to flea markets and antique stores as a child. As she learned about the history and age of various pieces from the vendors, she said her fascination with vintage furniture and home accessories grew. “It was just kind of interesting for me to take things that had another life before and find a new home for them, and have them continue to surprise people,” the Evanston resident said. Channeling her passion for antiques, Swanson opened a pop-up store Friday at 518 Main St. She said she picks all the vintage furniture and home accessories that are sold in the store herself, and that her business features new inventory every week. Swanson has been selling antiques for several years and started her own business in 2005. After her first two stores on Central Street closed down about three years ago, Swanson said she wants to start opening short-term pop-up stores because of their low maintenance costs and art-show-like qualities. Deb Schultz, who is also an Evanston resident, stumbled across Swanson’s store on Central Street several years back, and is still one of Swanson’s active clients. Schultz said she attended the new store’s preview party last Thursday. She said Swanson’s artistic setup encouraged many to not only visit the store but also stick around and enjoy its environment. 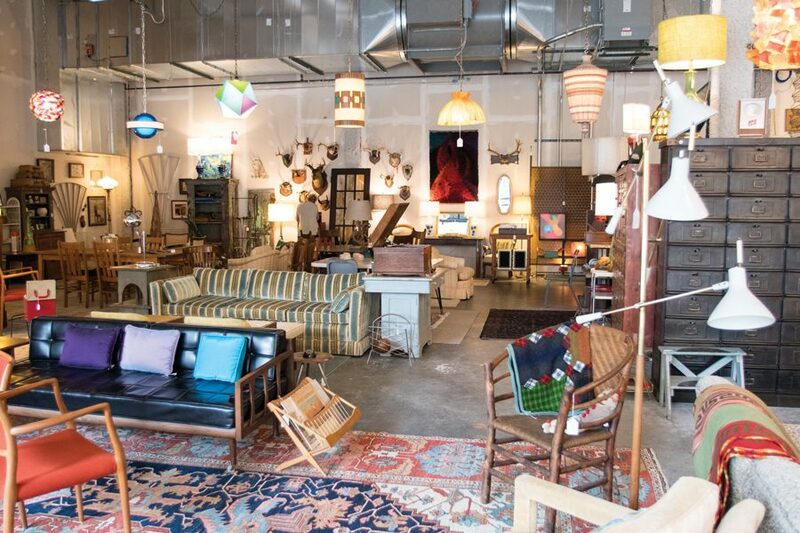 Schultz said she recommends the store to people who are looking to spice up their homes with something unique or to those who have just settled into a more permanent living situation and want rare, quality pieces. Pop-up retail — despite having been around for a while — has become increasingly popular within the last few decades due to its low financial commitment, said Stephen Brooks, CEO and founder of The Pop Up Retail Expert. Brooks helps pop-up businesses find retail spaces. Going forward, Swanson said she hopes to open two pop-up stores every three or four months around Evanston, while maintaining her warehouse in Skokie. She added that her new website will display her available products to customers. Most of all, though, Swanson said she looks forward to meeting and getting to know more local residents.